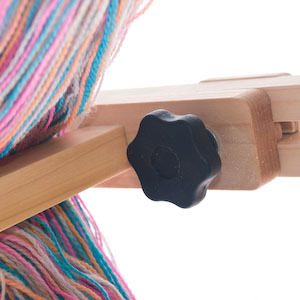 Available in 1½ yard, 2 yard or 3 yard circumference, our heavy duty double skein yarn swift is the ideal tool for high production yarn reskeining. 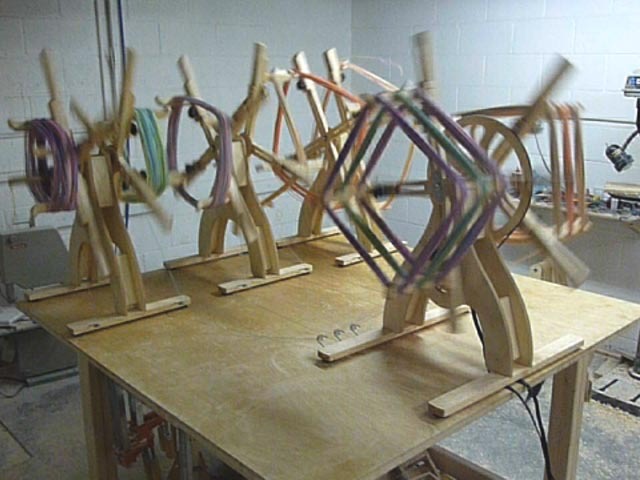 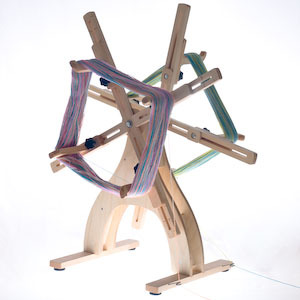 The double swift will hold two skeins of yarn at once. 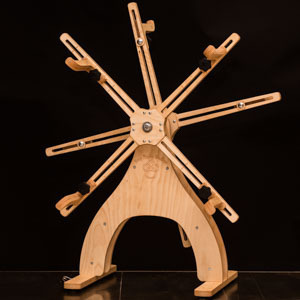 With independent ball bearing movement each skein is free to rotate individually. 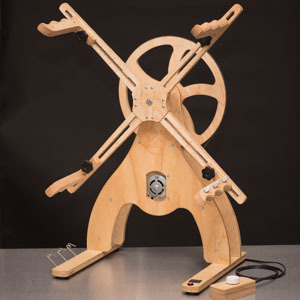 Our double swift is the ideal companion to our triple electric skein winder. 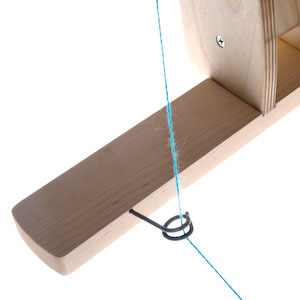 Our vertically oriented yarn swifts allow for easier unwinding of the yarn, because the yarn is held in a vertical loop, gravity does not cause the yarn to overlap and tangle as with a horizontal swift. 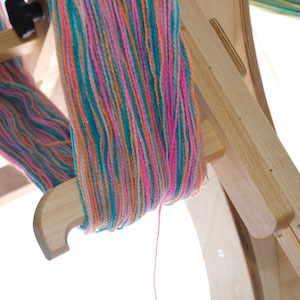 Since the yarn can be held on the swift without tension on the pegs, the skein is free to untwist, allowing the yarn to wind off more smoothly. 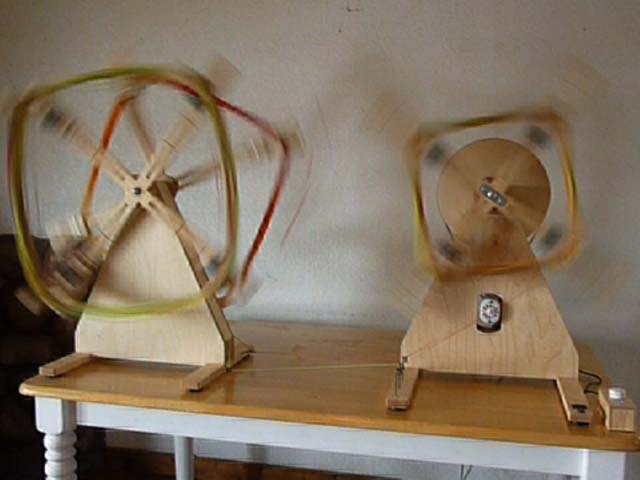 Our ball bearing movement allows the swift to spin freely, reducing the tension exerted on the yarn as it is wound. 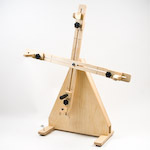 This produces cakes, balls or skeins with more loft, which is better for the yarn and easier to work with.